Hillsborough County will soon dedicate its latest segment of trail. Originally scheduled for Friday, August 7, the ribbon cutting ceremony has been postponed due to recent heavy rains and flooding. The new segment of trail was made possible by Hillsborough County with the cooperation of the Southwest Florida Water Management District (owner of the Brooker Creek property), and with the assistance of a federal grant prioritized by the MPO. Running along the edge of the scenic Brooker Creek Headwaters in the northwest corner of the county, the new 3-mile trail connects to the Suncoast Parkway Trail at the Lutz Lake Fern Road interchange complete with parking, permanent restrooms, a covered picnic area, and anautomated pay station – the first at a County trailhead. Mostly a twelve-foot-wide asphalt path, portions of the trail are on boardwalk through wetlands.The southern end of the new segment terminates at Van Dyke Road, just east of Gunn Highway. A final short link, yet to be constructed, will extend further south to the existing Upper Tampa Bay Trail‘s end at Peterson Road Park. 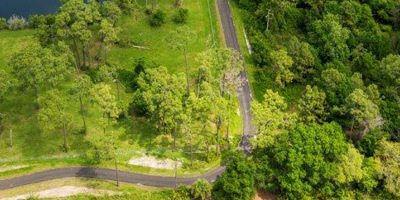 The final link will create a 50+ mile continuous trail, including the existing 7-mile Upper Tampa Bay and the 41-mile Suncoast Trails, and ultimately provide a path to the East Coast via Florida’s recently funded Coast-to-Coast Connector Trail. For more information, contact the County’s Citizen Engagement office at 813/272-5275.